However clean your water is at its source, by the time it gets into your home it may have picked up numerous unwanted minerals, chemical compounds and other pollutants. Methods used to improve the quality of water are referred to as water treatment or water conditioning (or water softening). What is the difference? Water treatment refers to water systems that reduce harmful contaminants in the water, ensuring health and safety. High levels of coliform, nitrates, arsenic, lead and pesticides are examples of harmful contaminants that must be treated before water is safe to drink. Healthier, better tasting drinking water. Water that is not softened and conditioned can leave soap and shampoo residue behind, aggravating dry skin and dry hair problems. The fruits and vegetables you wash, and the food and beverages you prepare with treated water taste better and look more appealing. 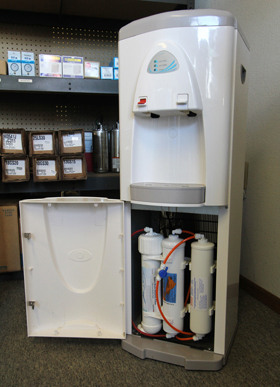 Improving the quality of your water with simple water conditioning, water softening and other types of water treatment improves the quality of your life in every space water is used. Please call or contact us today to set up a site evaluation. 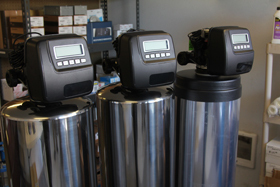 We can customize a water treatment solution for you!